Situated 25kms north east of Bega on the Far South Coast of NSW, just 3 hours from Canberra and 6 hours south of Sydney, and just 40 minutes from the unspoiled beaches and lakes backed by beautiful coastal National Parks. Come in from the coast where the wild things are. Brogo Dam has an extensive catchment running back into the magnificent Brogo Wilderness area. The waterways are pristine, with gorges rising 180 feet high in Nelsons Creek. The peaceful backwaters are a haven for local native birdlife - Sea eagles and swooping Azure Kingfishers & many more. Imagine nothing to be heard but the sounds of piping bird calls and the splash of a paddle moving through still water. The canoe is the perfect vantage point to view the spectacular and colourful Water Dragons, Goannas, and shy Echidnas. The wildlife abounds. See the Rock Orchids clinging to sheer cliffs, (flowering in September). Contrast the rare Deua Eucalypt and Sandpaper Figs to the shady western cliffs with collections of leafy ferns and trailing vines. For tranquillity and beauty its hard to beat.... bring a picnic lunch and choose from any number of secluded locations. One such site has the remnants of an original homestead, although all that now remains are a few stone-edged garden beds and a stand of tall trees once planted to shade and protect the homestead. Once built high on a hill above the river, the dam waters now ensure a water frontage. 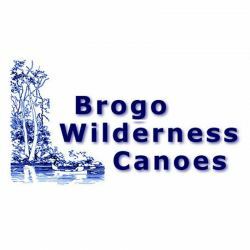 To explore the beauty of the Brogo Dam and Brogo Wilderness from a more unique perspective, why not hire a fully equipped canoe from Brogo Wilderness Canoes. Our canoes are safe stable "Canadians". All safety gear, maps and instructions are provided. Explore forest gullies, take a picnic or stop wherever you desire.